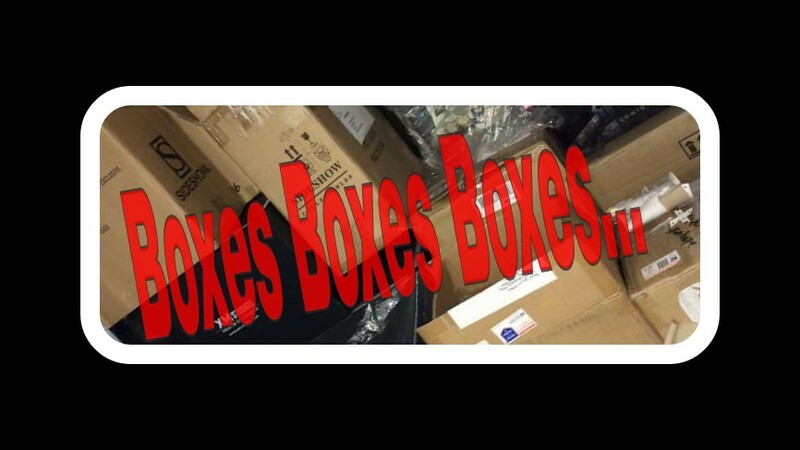 We have been collecting a few years now and many pieces have joined our collections as well as not making the cut and leaving, but no matter how many pieces you have in your collection I am sure you have the same problem… Boxes!!! Boxes are a nightmare on many levels and we are just going to put together a small post about what we feel the issues are with boxes. This is the box the one statue will come in and normally has some kind of print on the box and brief information on the item. Alex is a big fan of the art boxes that have the character background on, but in all honesty the box will be looked at when the statue arrives, but then will go in the attic for storage shortly after. Then you have the shipper this is normally just a plain cardboard box with basic information and it purpose is just to create extra protection during shipping. We think that when buying or selling a piece that that having no art box will loose you a good amount. When an item has no art box this normally means no Styrofoam… So if shipping without sadly means it will not arrive in one piece. Both Alex and Geo have brought statues from EBay that have been listed with no original box, but both took he gamble and the items arrived in pieces. In these cases the sellers did not use common sense when shipping and refunds were issued. Alex actually traded a piece that is famous for breaking in shipping without the original box. He painstakingly carved out a Styrofoam cube with a soldering iron and likely got some kind of cyanide poisoning in the process, but the item arrived in one piece. We both have brought items without original shippers and feel that it this should not really affect the value too much, but when selling we have had buyers ask for as much as £70 off due to no original shipper. We feel the issue of boxes is down to the personal preference, but it will make an overall difference to the price. .
We think that you should, but you will always have the risk of it breaking. Maybe if you get a very good price or a local collection this is fine, but always keep in mind that even though you man never plan on selling your collection now, the day may come where you have to and the boxes will take away from the value. Over the last few years of collecting we have seen many ways of people storing boxes or even making use of them. We are currently pretty lucky with collecting and storage of boxes as we both have a good sized storage in our attics, but it does not mean one day they will be full… Also boxes are getting bigger and with some of the latest additions the boxes do not fit through the hatch of our attic to store them. Alex has even looked in to renting a local storage unit for his boxes and some of his collectibles, but the price in London seems to be the same as renting an apartment in other parts of the country. So it is out of the question for us, but we know a lot of people who rent units the other side of the pond. Some of the best use of space has to go to some of the guys who use the XM studios or Cinemaquette boxes as podiums. You can get away with using these as they are made really sturdy and are pretty stylish looking boxes. On Facebook there was a guy who remodelled his house and actually built a sub wall and overhead storage in the ceiling beams to store his boxes. Now that is dedication. Also seen one collector who wraps all of his boxes in clear plastic to stop them getting damaged over time. One of the funny things that happened the other month was Alex sold three pieces to make space and even though he has 50+ boxes in the attic that look pretty much identical to the average person. He went up in the attic and knew exactly where the boxes he required were and was out in seconds. We think that even though boxes are big, ugly and take up a lot of room we will never destroy them as you never know what is around the corner. You may have it in your mind that you will never sell, but you just don’t know what drama may arise, or if simply you just loose interest in the hobby. So we suggest that you always try to get hold of the original boxes where possible for piece of mind with shipping and worse case if you have to sell.